Every person as well as all of the Earth's flora and fauna have an actual energy field that surrounds their body which mystics call the aura. The aura is powered by several vortex like energy centers that run along the spine, called the chakras. Within the human body, seven major energy centers or Chakras have been identified, as well as 122 minor ones in our joints, bones, and nerves. Learning to ground, collect, and to stabilize your chakra energy will make a big difference in your body and in your life. The Chakras are made active by the subtle energetic movement of the Kundalini. The Kundalini has been described as a coiled snake that lies at the base of our spines. If active and healthy, this Kundalini energy flows freely up through the seven chakras right to the crown of the head and beyond into the higher dimensions. It is important to work with the chakras if this flow is not spontenous. Over time, blockages can cramp the energetic flow - but you can learn to work with this. You will feel more anchored, connected, safe, and secure once you do. Reproductive System, Bladder, Intestines. Level of Creativity, Sexual Expression, Energy of Self- Affirmation. Energy flows from the Crown Chakra through to all the major chakras. Earth energy also flows, beginning in the Root Chakra and rising through the other energy centers. You can boost your energy quickly, by focusing on each one in turn, and breathing "into" each daily. 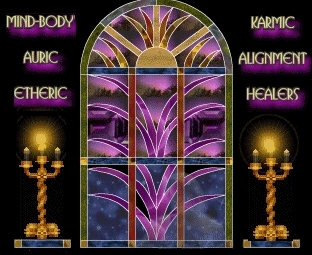 Visualize the corresponding color as you do this, and focus on the body areas and domains governed by each chakra in turn. Try sounding the mantra that relates to each (see table above). Mantras work like an ultrasound or sine wave to increase the flow of energy through each chakra, as well as the rest of your body's energy channels, called meridians. Learning to ground, collect, and to stabilize your energy will make a big difference in your body and in your life. You will feel anchored, connected, safe, and secure. When you clear your energy, you're able to manifest the body you want, and the life you dream of. If you're feeling stuck in old habits, weighted down in your body, and filled with negative emotions, you're actually ready to grow! When you direct your energy, you change your body and your experience of life. Relax yourself, and breathe deeply. Release all tension. Visualize your energy flowing freely from your Crown right down through all of your chakras to your Root Chakra. Now, see your vital energy extend down, like a long tail from the base of your spine, through the Earth to its' molten Core. Wrap your imaginary tail snugly around the earth's core. Send any negative energy in your body down through this tail to be neutralized by the Core. Then, receive fresh, invigorating Earth energy up through this tail to your Root Chakra, then up to the rest of your body and chakras. Our hands are powerful transmitters of energy. They work similar to a magnet. Important chakras are located in the center of each palm. Your Right Hand is positively charged and sends or gives energy. It emits the energy that "makes things happen". Your Left hand is negatively charged, and receives energy. It emits the energy that "allows things to happen". 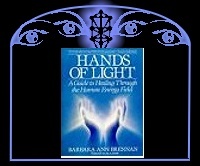 Your Left Hand is positively charged and sends or gives energy. It emits the energy that "makes things happen". Your Right hand is negatively charged, and receives energy. It emits the energy that "allows things to happen". Maintain a free - flowing passageway for your energy flow that extends from your Crown down along your spine to the palm of your hands and on further right through to the soles of your feet. In the middle of your soles, are two more important chakras that keep you grounded to the Earth's energy. Our longevity is related to our ability to integrate and synchronize our energy with the Earth's energy, and the energy of other people.